The U.S. Holocaust Memorial Museum inspires citizens and leaders worldwide to confront hatred, prevent genocide, and promote human dignity. The Museum set up a Kickstarter in an effort to raise money to make the diaries of Holocaust victims and survivors available to everyone by helping the Museum catalog, translate, and publish them online. The Kickstarter was fully funded. The goal of the U.S. Holocaust Memorial Museum was to catalog, preserve, and make available online over 200 Holocaust diaries in the Museum’s collection – for the first time ever. The collection includes handwritten pages and notes that are in 17 different languages and that will need to be transcribed and translated into English. * The diary of Joseph Strip, a young boy who wrote about his family’s harrowing experience over the grid-lined pages of his math notebook. * The papers of Lucien Dreyfus, a journalist and schoolteacher from Strausbourg, France, who was deported to Auschwitz in 1943. His collection includes letters to his daughter, son-in-law, and granddaughter who escaped to the United States in 1942. 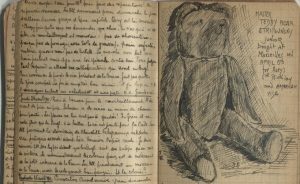 * The diary of Hans Vogel, who fled Paris with his family while his father was interned, which contains hand-drawn and colored maps of their journey. The Kickstarter was launched on June 12, the birthday of the most famous diarist of the Holocaust, Anne Frank. The original goal of $250,000 has been reached. The U.S. Holocaust Memorial Museum made a new “stretch goal”. 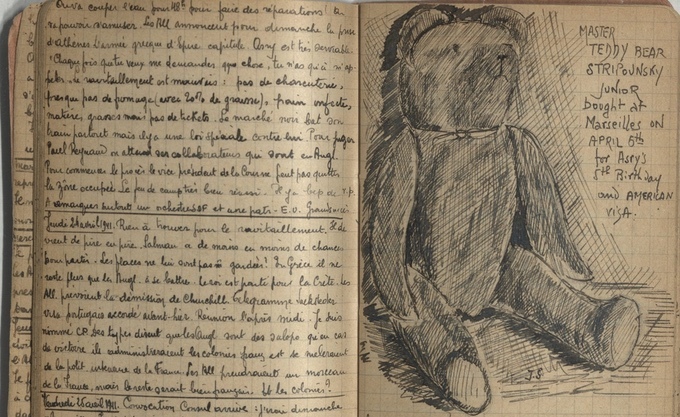 If they raise an additional $50,000 before July 13, 2017, the Museum will be able to translate and transcribe 10 more diaries.